Alcohol consumption can affect your health in many ways, both good and bad. There are a number of facts you should know about drinking, what causes it to affect your health, and how you can take the effects of alcohol into your own hands. Consider the facts below and what you should know about alcohol and health. It’s true––alcohol consumption can literally affect every part of your body, from your brain to your immune system to your organs and even your skin. According to the NIAAA, “Drinking too much–on a single occasion or over time–can take a serious toll on your health,” but drinking in moderation can actually improve your health in several ways. Therefore, your health and body have a complicated relationship with alcohol consumption because drinking can affect you in so many ways. 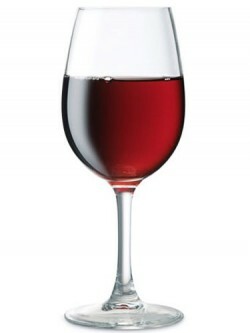 Moderate drinking can reduce risk of cardiovascular disease. A decreased chance of cardiovascular disease, including a decreased risk of ischemic stroke, heart attack, peripheral vascular disease, or death caused by cardiac arrest or heart disease overall. According to Harvard School of Public Health, “The effect is fairly consistent, corresponding to a 25 percent to 40 percent reduction in risk.” This occurs because moderate amounts of alcohol “raise levels of high-density lipoprotein” also known as good cholesterol that can help to protect an individual against heart disease. A decreased risk of cancer. As stated by Harvard School of Public Health, there is a possibility than an increase in folate, “the B vitamin that helps guide the development of an embryo’s spinal cord,” caused by moderate use of alcohol can possibly cancel out other effects of alcohol use that may cause the opposite effect. A decreased likelihood of developing gallstones. A decreased likelihood of developing type 2 diabetes. Better digestion (if the drink is consumed before a meal). There is a possibility that alcohol consumption may affect your health in many of these positive ways. However, this will only occur in those who drink a moderate amount. Individuals who drink more than the recommended amount are actually less likely to see these benefits and, in fact, even more likely to see the opposite effect on their health. Damage to the heart. This can include many different kinds of heart problems like cardiomyopathy, high blood pressure, stroke, arrhythmia, and others. While “research… shows that drinking moderate amounts of alcohol may protect healthy adults from developing coronary heart disease,” drinking to excess can help to cause many of the issues an individual may have otherwise avoided (NIAAA). Damage to the liver. This can include steatosis, fibrosis, cirrhosis, alcoholic hepatitis, and liver inflammation. Damage to the brain. Drinking too much has been associated with damage to the brain’s communication pathways, memory and learning capabilities, and overall functioning. The way the brain looks can even change as the result of extreme alcohol abuse, reflecting the damage this action can do. Cognitive capabilities, mood and behavior, and coordination can all be affected permanently as well. Damage to the immune system. Drinking excessively can even cause an individual to be more likely to be affected by disease. Pneumonia and tuberculosis are common issues for heavy drinkers. Even drinking too much at one time can lower a person’s immunity temporarily. Possible mental disorders. Alcohol consumption can even affect an individual’s mental health and intensify or help cause possible mental disorders such as generalized anxiety disorder, depression, bipolar disorder, etc. Cancer development. Certain cancers, such as that of the mouth, throat, esophagus, breast, and liver, are all associated with heavily drinking. A person who drinks often and outside the moderate amount is more likely to develop these types of cancers than an individual who does not drink at all. Dependency development. Another mental health issue, individuals who abuse alcohol for many years are more likely to become dependent on it. This may cause them to experience severe withdrawal symptoms if they attempt to stop drinking, an incredibly high tolerance for alcohol’s effects, cravings that cause them to want to drink all the time, and a loss of control over how much they drink. The stronger an individual’s dependency becomes, the more difficult it is to overcome. Therefore, it is clear to see that the effects of alcohol on a person’s health are very strong, especially when the individual abuses alcohol every day. The substance does have positive effects for an individual’s health, but it is so easy to slip into misuse of alcohol and eventual abuse, leading to the more negative side effects. Is Drinking Bad for My Health? Just remember that drinking will affect your health in one way or another. Therefore, if you choose to drink, do so in a way that is more likely to have a positive effect on your overall health rather than a negative one.